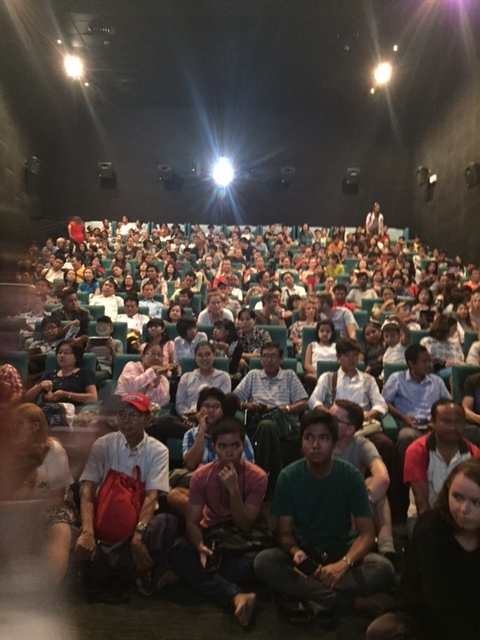 Our final screening at HRHDIFF was so full the audience sat on the floor all the way up to the screening, packed the aisles, and stood in the hallway up to the exit. People had to be turned away. 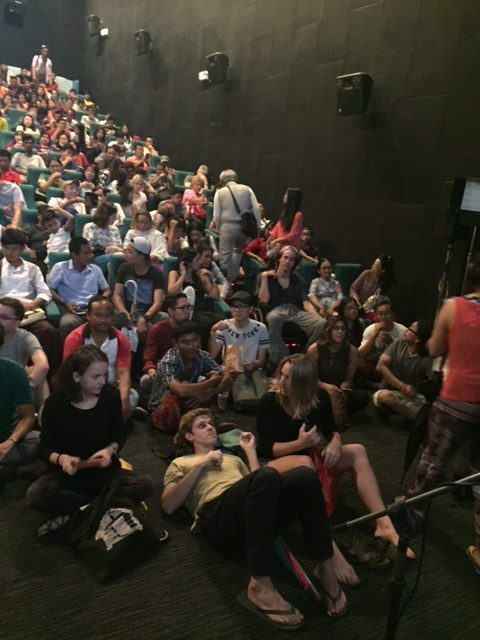 And, something that has never happened to us in fifteen years of making films, the entire audience stayed for a 40 minute Q and A after the screening. We are humbled and honored by such a reaction. 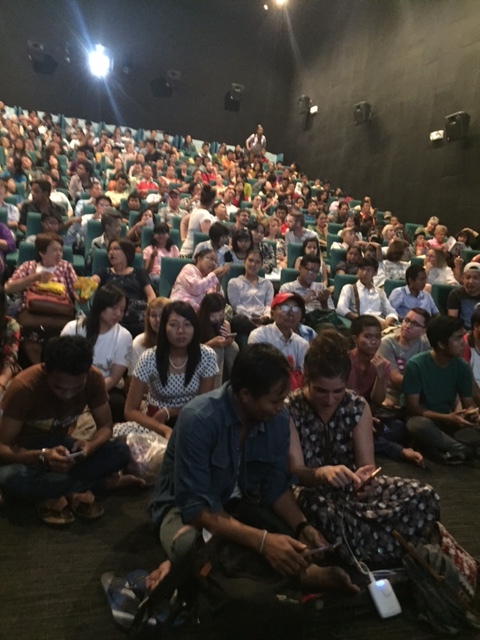 And it gives us strength that we are on the right path to plan our big outreach screening campaign with our film this fall: we will be showing the film throughout Myanmar….